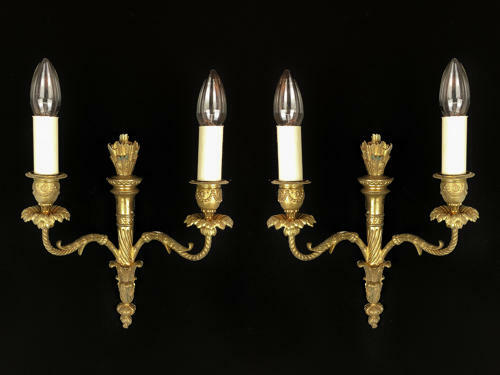 A set of three gilt bronze, two arm Louis XVI style wall lights. The back plate in the form of a quiver of arrows. French, circa 1880. Can be sold as a pair / single.